It's going to be a tough contest in Amethi this election season. The battle lines are drawn between Congress Vice-President, Rahul Gandhi, BJP's Smriti Irani and Kumar Vishwas of Aam Aadmi Party. 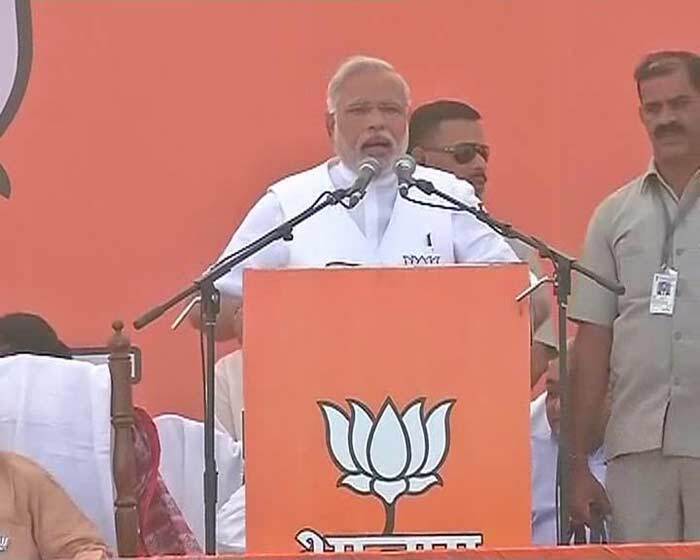 BJP's prime ministerial candidate Narendra Modi addresses a rally in Amethi, Uttar Pradesh which is traditionally known as the Gandhi family bastion and is one of the key constituencies of this election, with Congress vice-president Rahul Gandhi taking on Smriti Irani of BJP. 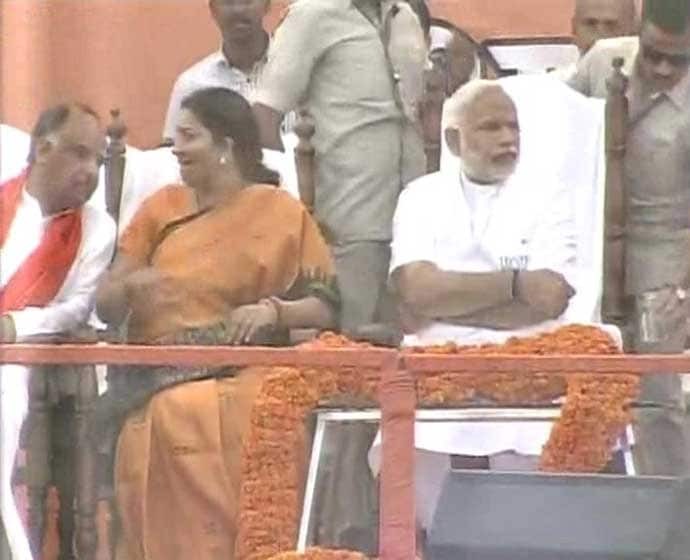 Modi with the popular television actor turned politician, Smriti Irani who is contesting from Amethi, against the Congress leader. 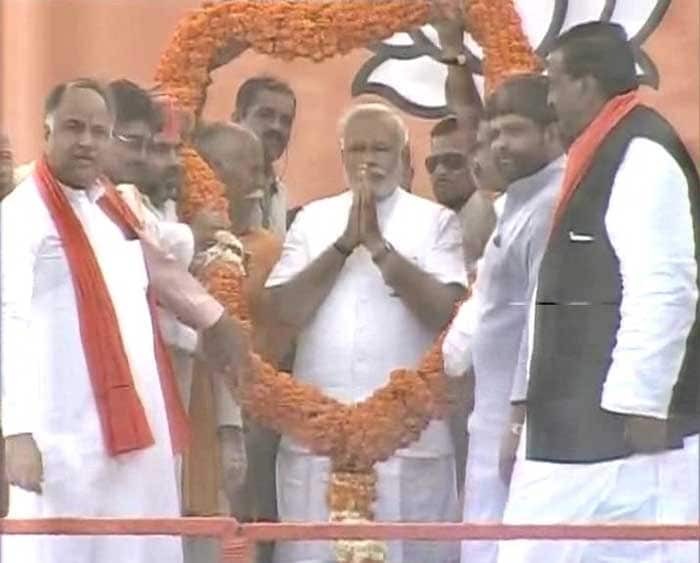 Narendra Modi, while addressing the rally, declared that his party will form the government and that the process of "building the country will start from Amethi". 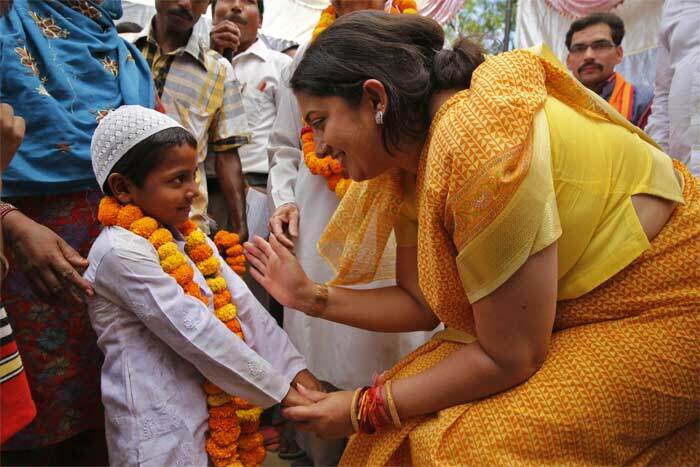 BJP candidate Smriti Irani talks to a young Muslim boy at an election rally in Amethi. Standing against BJP's Smriti Irani is Congress vice-president Rahul Gandhi who has been representing Amethi for the past 10 years. 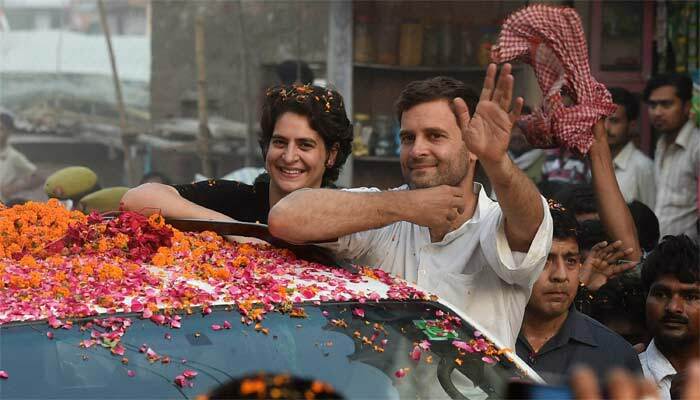 Rahul Gandhi and Priyanka Gandhi Vadra held a huge roadshow in the family pocket borough ahead of Modi's rally. 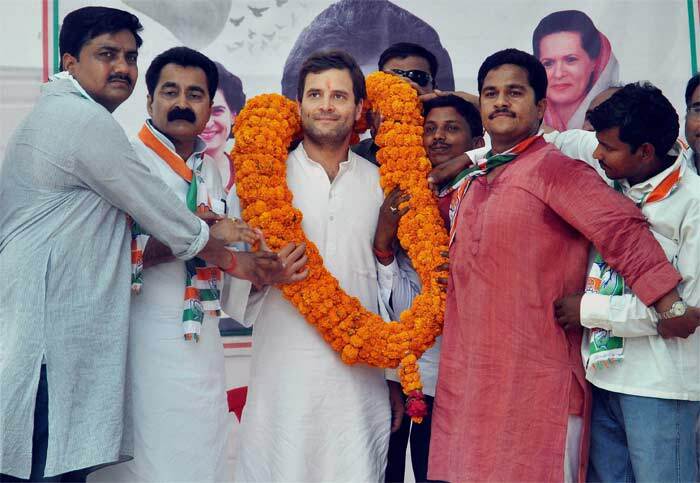 Party workers welcome the Congress Vice-President and garland him during an election campaign in Amethi. 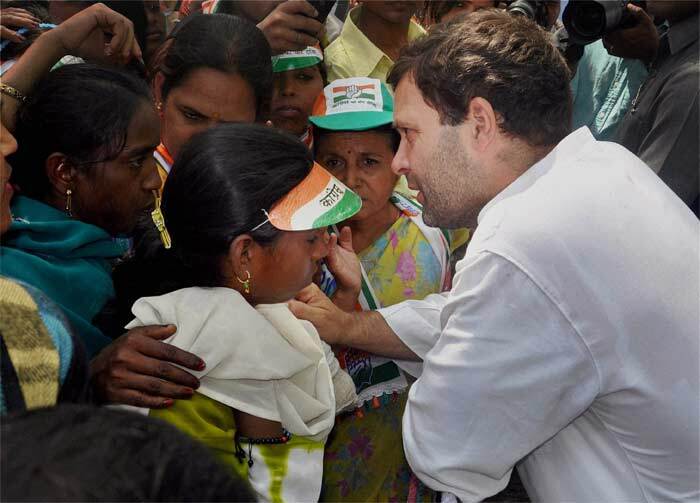 Rahul Gandhi interacts with supporters during an election campaign at Tikermafi in Amethi. Aam Aadmi Party (AAP) has fielded Kumar Vishwas from the constituency. 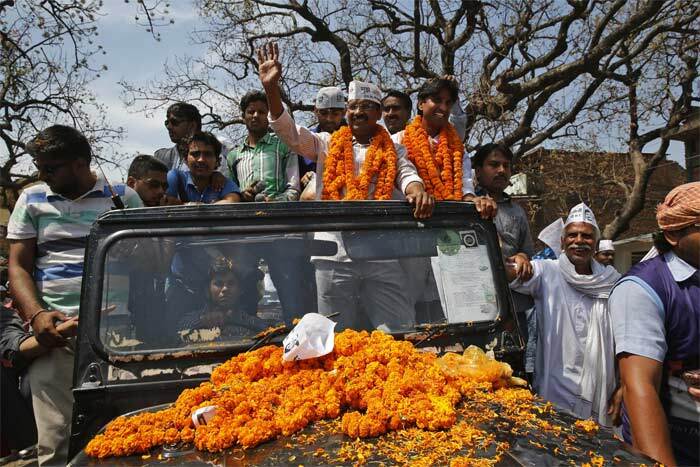 He can be seen with Aam Aadmi Party chief Arvind Kejriwal at an election campaign in Amethi.